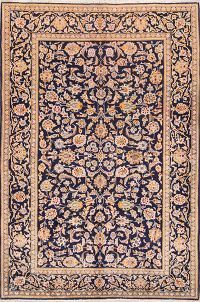 Kashan rugs are an export from one of Iran’s oldest cities, Kashan, dating back to the 17th century or late 16th century. 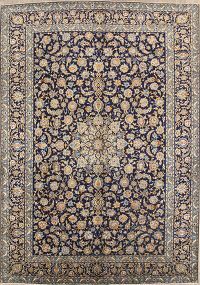 Kashan was a hub of silk production beginning with the Safavid dynasty, a golden age of Persian weaving under the reign of Shah Abbas. 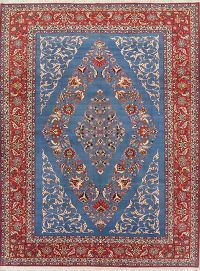 Contemporary Kashan rug sales began toward the end of the 19th century, when Kashan merchants hoped to replicate the success of weaving shops in Tabriz to the north. 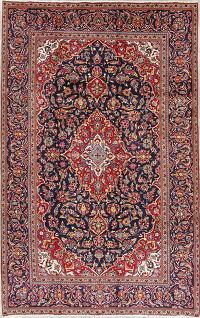 During this era, many antique Kashan rugs were commissioned for individual homes. 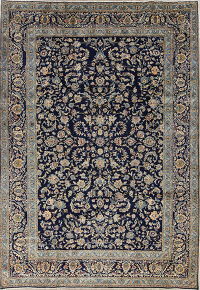 The best Kashan carpets of the 19th-century and turn of the 20th century are formal, traditional and luxurious. 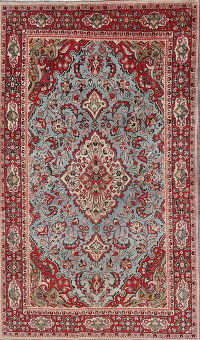 The warp and weft of Kashan rugs are usually made of cotton with the traditional asymmetrical Persian know. 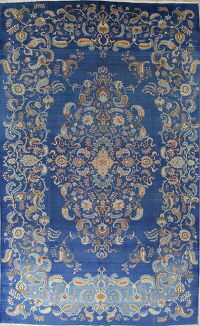 The thin double weft is often woven between 120 knots per square inch and 840 knots per square inch. 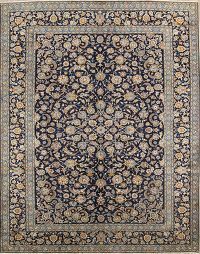 The finished texture of Kashan rugs is soft to the touch. 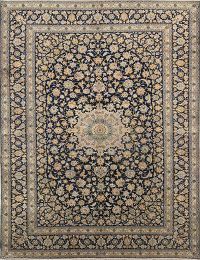 The best Kashan carpets use a superior quality of wool that sometimes has silk mixed in. 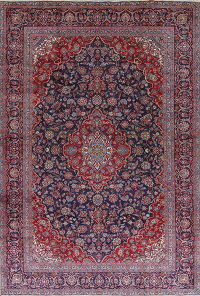 modern Kashan rugs (from the 1930s) use contemporary chrome dyes. 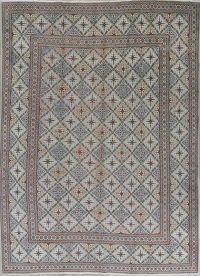 When the Mogul empire spread through Iran to the Indian subcontinent, the work of Persian weavers was carried to modern day Pakistan. 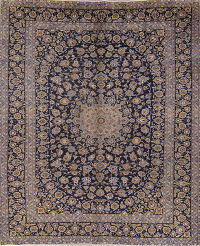 The city of Lahore today produces the vast majority of modern Pakistani Kashan rugs. 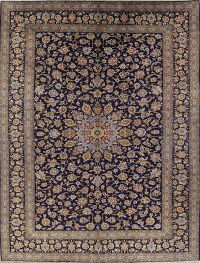 Like their Iranian forebears, Pakistani Kashans use a wool pile on a cotton base. 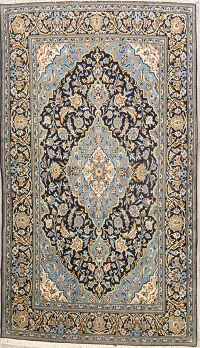 Mogul Kashan rugs use the Senneh knot, an asymmetrical double knot that produces a dense, heavy weave, making them extremely durable. 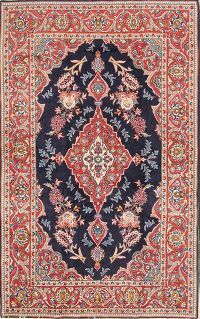 One of the main distinctions between Iranian and Pakistani Kashan rugs is the use of color. 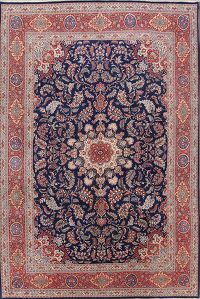 Pakistani Kashans feature predominantly pastel shades, whereas a traditional Persian Kashan carpet may include richer reds, greens and blues. 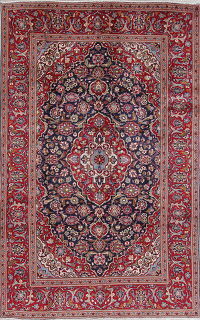 Motasham Kashan carpets are the rarest group of Kashan carpets. They feature non-traditional designs and color palettes and were woven with lamb’s wool renowned for its luminous, reflective sheen. 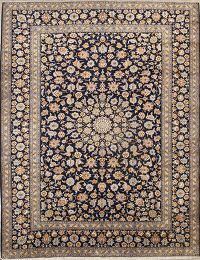 True Motasham Kashan rugs are finely knotted and extremely difficult to find. 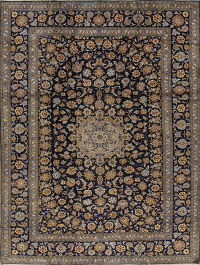 Dating from the middle of the 19th century, antique Motasham Kashan carpets are among the finest Persian carpets. 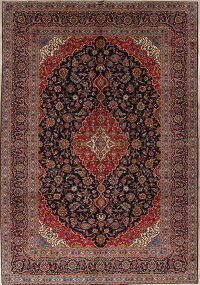 Early Motasham Kashan rugs (pre-1850) use a technique known as abrash, marked by an emotive use of color shading and color shifts. 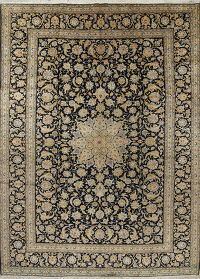 They commonly feature an antique ivory or gold background and subtle pastel tones throughout the weave. 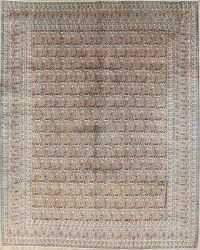 Over time, the dyes in an antique Motasham rug will soften and acquire an earthy patina. 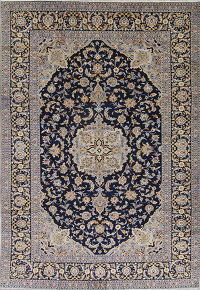 The rich lanolin will rise to the surface of the wool fibers over time, given the rug an extraordinary luster.